Select tone woods, hand-carved top braces, and deluxe refinements create beautiful sound and appearance. 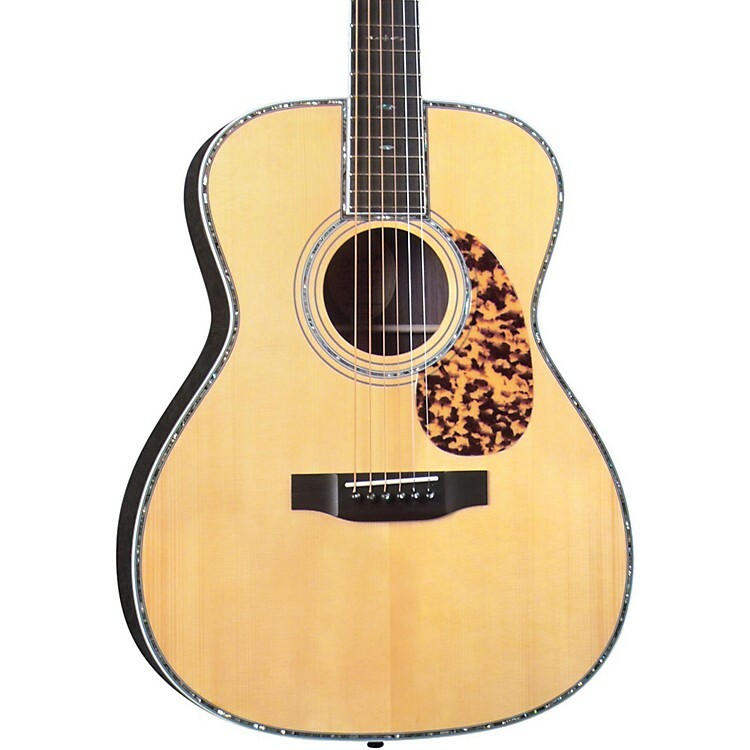 The Blueridge BR-183A Adirondack Top Craftsman Series 000 Acoustic Guitar has impressive features that belie its affordable price. It has a genuine Adirondack spruce top, the finest solid rosewood back and sides, and lavish abalone pearl on every border. But above all it's got a tone that rivals even more expensive guitars. All this value comes standard on every Blueridge in fact, and their most expensive models are arguably the best bargains for the money in the music industry. Play it then you'll understand. Order today.